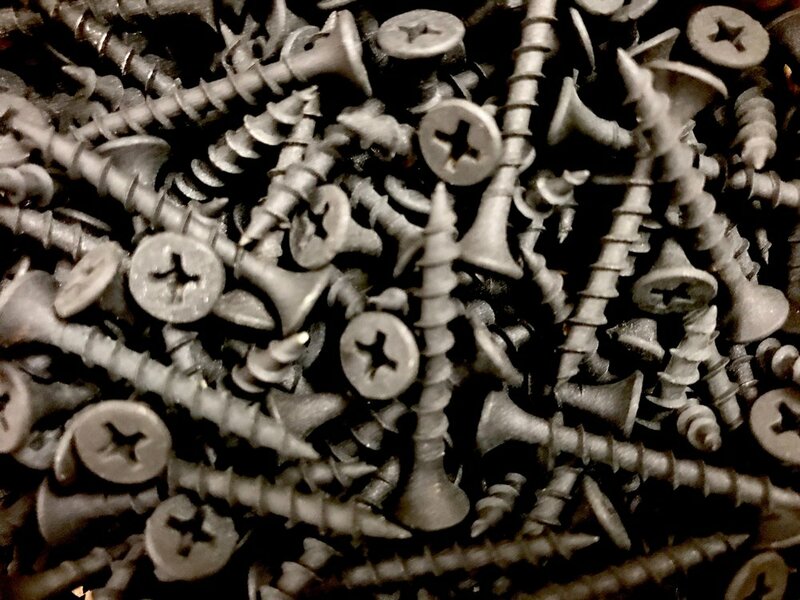 Drywall Screws: They hold pretty much anything to pretty much anything else. Buy them in bulk, and you'll always have the proper fastener for any situation. Even better, put them in a parachute bag, and you can easily carry all the sizes wherever you go. Use them for reattaching loose door hinges, hanging pictures, fixing your kitchen cabinets and toilet roll dispenser, hanging your blinds, or boarding up windows to keep the zombies out. Here at SPLOTCH! we are committed to bringing you the inside scoop on all the profoundly necessary items for a semi-sophisticated life. Sometimes, though, those items aren't commercially available. Be we are handy, and we love to show off. So, here's a step-by-step guide that shows you how to make your very own custom propane-fueled fire feature for your patio. If you've never done this before, don't worry. We've broken it down one step at a time, so even the most inexperienced clod can handle it. Step 1: Order the regulator, hoses, burner, and accessories, and have them ready before you begin making your fire feature. You have to make sure all of the items will work with your materials, and that everything fits properly. When working with fire, there's not much room for mistakes. I like to get my parts from Easy Fire Pits. They sell good quality products that are easy to put together. Step 2: Gather up some scrap material and a propane tank. When working with flammable gas alongside power tools, heat, sparks, high voltage, or open flame, it's a good idea to use an empty tank. Or at least don't use the dented rusty propane tank that you found on the side of the road out by the abandoned asbestos mine. Step 3: Use an angle grinder and a cutoff wheel to cut the scrap steel into 4 identical trapezoid shapes, being careful to make them large enough to fit the propane tank inside. Step 4: Use your Miller MIG welder to fabricate the steel frame that holds everything together. Cut a square to fit the top. Use your drill press and a hole saw to make a hole in the middle of the top for the hose to go through. Then use your Miller TIG welder to melt the edges of the hole so they are round and won't pose a threat to the rubber hose. Remember, it's probably dangerous to cut a hose that carries pressurized flammable gas. Step 5: While assembling the piece, it's a good idea to take a couple of minutes to carelessly grip a piece of rusted scrap. If done properly, this will slice open your glove and your finger at the same time. That way, you can make sure your blood is still red, and you aren't some crazy alien replica who happens to be very good at making things. This one's bloody. Don't click it. Step 6: Are you going to build a magnificent lawn accessory and make your neighbors jealous? Or are you going to stand around all day taking stupid pictures of junk? Put the camera down and finish making the fire feature! You think anybody really cares about your progress shots? Pickles never trusted me again. Step 7: The table is completed, tested for leaks, and moved out onto the patio. if you're lucky, the first time you light it, it will shoot out a fireball large enough to singe your eyebrows and make sure your dog is permanently distrustful. Step 8: Don't worry about cleaning up the shop, putting tools away, or sweeping. You'll be out in the shop making something else tomorrow. Besides, now is the perfect time to roast marshmallows and make some s'mores! Invite your best friends over and you can share cosmopolitans around the fire and talk about your nails. It'll be so much fun! I hope you enjoyed this step-by-step guide. Make sure when you are done building your own fire feature, you send us a photo!